Now that the weather is heating up – and more to the point, the humidity is on the rise – beauty is getting trickier. Making up is hard to do when it’s likely to slide off your face within half an hour of going outdoors. 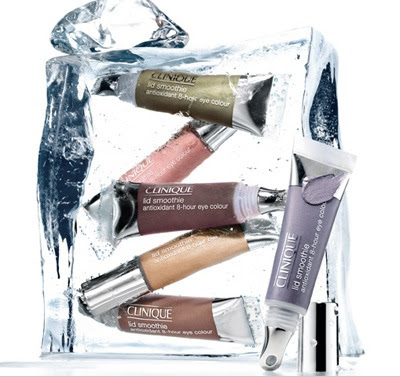 In an effort to find products that will stay put throughout a Hong Kong summer, I tried Clinique’s 8 hour lid smoothies. I was immediately taken with the packaging – such adorable little squishy tubes I wanted to buy a dozen of them – but would they live up to their promise? I chose Born Freesia, an icy lilac shade, and applied a couple of slicks to each eyelid with a deeper lavender, Lick-orice in the contour. While I didn’t really feel the advertised “cooling” sensation, perhaps just a smidgeon, the smoothies went on easily. Besides I was more interested in the staying power. So how did they fare? After a few hours in 30 degree sunshine the eyeshadow looked just as vivid it had when I applied it. Not a crease or slide in sight. A keeper I think.